Ted Musgrove's State Farm mission is to help our customers manage the risks of everyday life and recover from the unexpected. 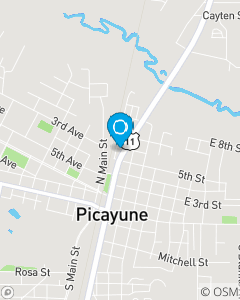 We focus on helping our customer's save money on auto insurance, car insurance, home insurance, and renters insurance throughout the Picayune area. Let Ted Musgrove State Farm Insurance help you prepare for the future with life insurance and our competitive financial services. Stop by our office to meet our experienced insurance team.